This is a rare ca. 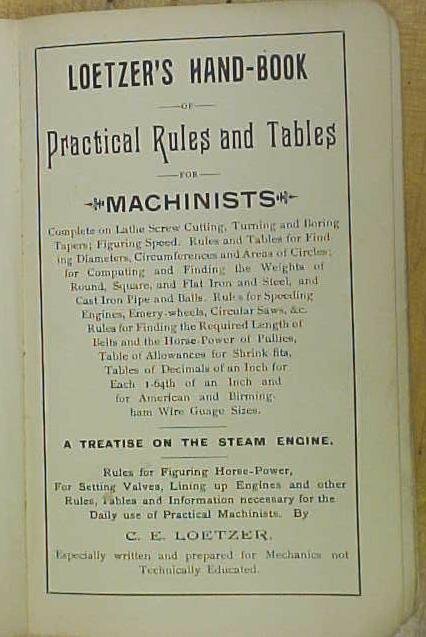 1892 first Edition of this title: Loetzer's Hand-book of Practical Rules and Tables for Machinists. Author: C.E. LOETZER The copyright reads "Entered according to Act of Congress in the year 1892 by C.E. LOETZER in the office of the Librarian of Congress at Washington". Title page further information: "A TREATISE ON THE STEAM ENGINE" This pocket size hand-book is in good+ condition with a good cover (black cloth), well attached to the binding, original round outside page corners. Some minor finger prints, a few creases on a few pages, minor wear overall. A few pages that had small tears have been repair with archival tape. This book measures 4 x 6" and has 56 pages. 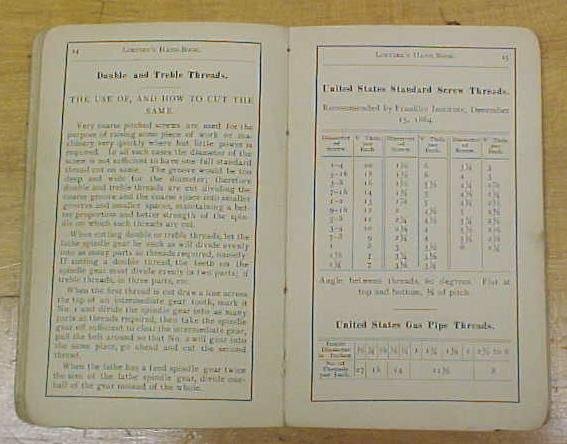 The pages have a few diagrams (less than later printings), lots of machinist charts and tables, on subjects like engine speeds, feeds, taper cutting screws threads, horsepower of steam engines etc.. A hard to find book, in good+ shape. 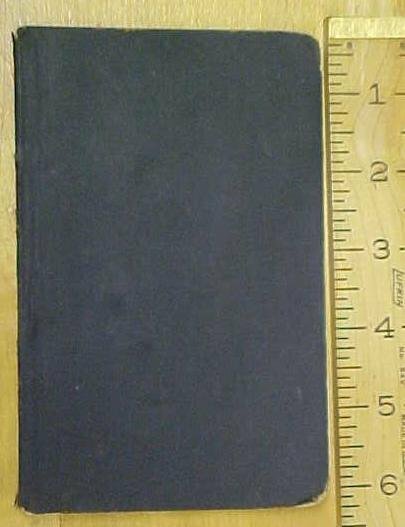 Items Similar To "Loetzer's Hand-book for Machinists 1892 First Edition"